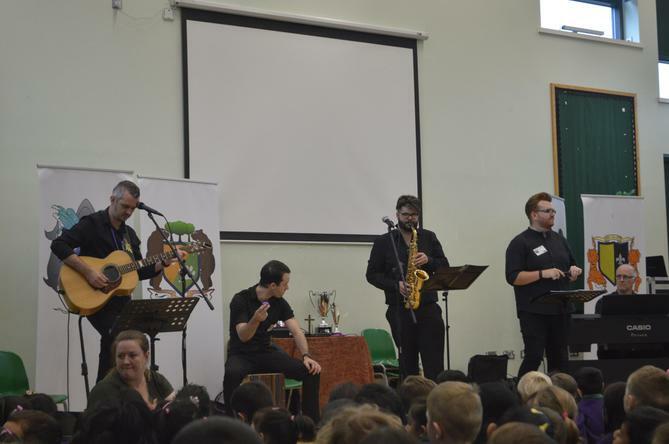 Today the whole school enjoyed a musical extravaganza! A group of musicians from ALFA music showcased their amazing talents in a concert for all to enjoy. 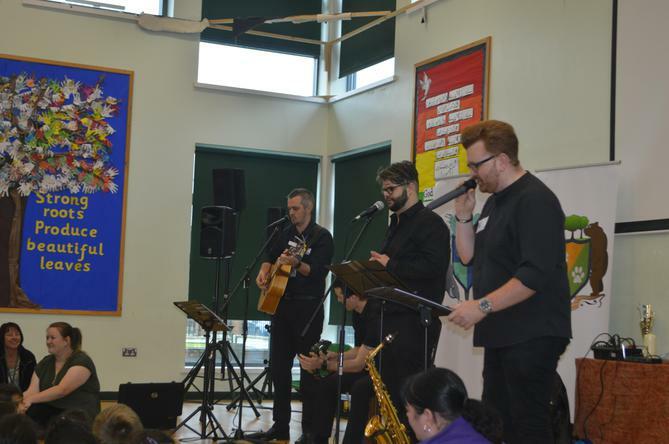 This included playing different instruments like the acoustic guitar and saxophone. The whole school sang, clapped and joined in a whole host of songs!